Description: Four years have passed since tragedy broke Grace’s family apart, tarnished the family name, and sent her into hiding at finishing school. Now with a new last name and a few years between her and the accident; Grace wonders if she will be able to escape the heavy shadow of the past that smothers her with guilt and a desire to escape life. Grace carefully guards her heart from others to prevent them from discovering her past. However, when Mitch, a deputy, comes into her life, he seems bent on destroying Grace’s armor. Can Grace really trust someone with the secrets that haunt her, or will they destroy her once again? While I have loved both Annabeth’s War and The Captive of Raven Castle, I have to admit that this is by far my favorite Greyson book so far. 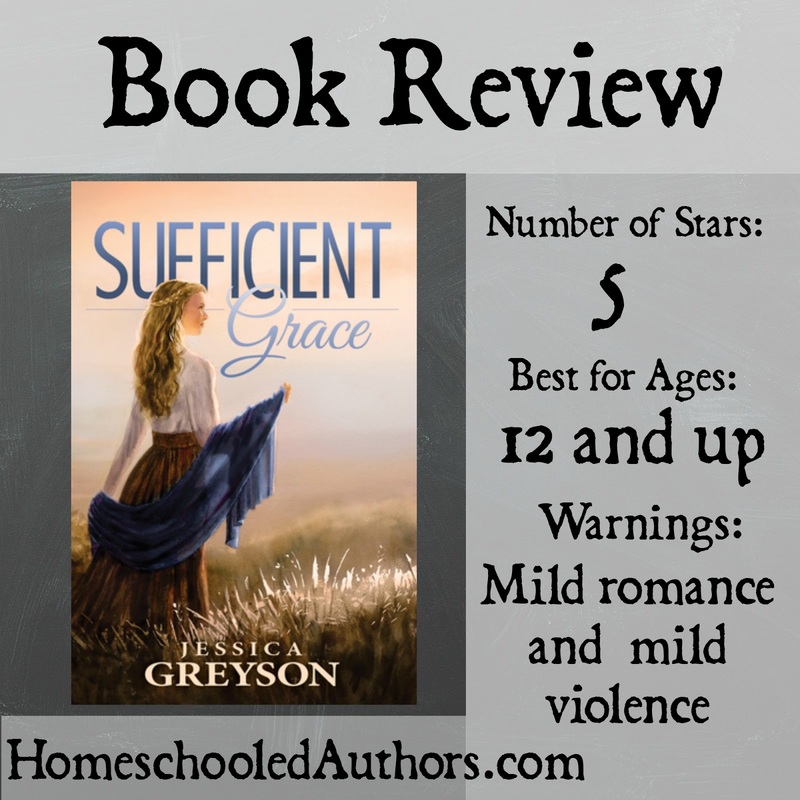 Moving away from the realm of fantasy, Greyson takes us to the old west. Her story drops us in the middle of the action of girls that have been kidnapped from a stagecoach, and the story just is amazing from there. My heart immediately felt connected with Grace’s. So many of the emotions that she experienced are ones that I have felt myself. She was so wounded, yet also strong. She was someone you wanted to hug and respected at the same time. Throughout so much of the story, you wonder why Grace is choosing to do some of the things she is doing, yet also not confused, if that makes sense. Mitch was an amazing character, too. He reminded me of Ransom in Annabeth’s war, yet he was different. Mitch’s unconditional love and how he truly cares for Grace was so sweet. So much of the story focuses on their friendship. Yes, there is a hint of romance, but more on friendship. You can always count on Greyson for solid faith messages, and this was no exception. This book held the themes of telling the truth, redemption, and allowing others to be there for you. Yet, more than any other story she has written, I feel the message within this book will minister to the heart of those who read it. I never wanted to put the book down. That is probably the reason I didn’t and read it all in one day. It kept me flipping pages wanting to find out what happened next. When it was finished, I wished that it wasn’t over. I highly recommend this to those who love western stories, light romance, and a whole lot of action.